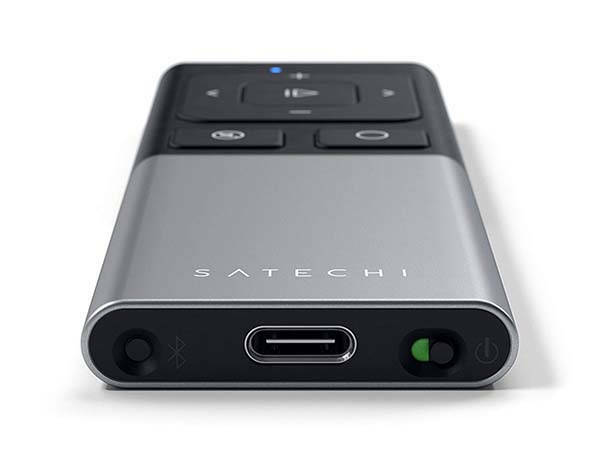 Satechi aluminum wireless presentation remote is designed to enhance your presentation, and the sleek design allow it compliant to your personal style. Like the idea? Let’s have a look. This is a beautifully crafted and versatile wireless presenter that works with Bluetooth-enabled devices including, iPhone XS Max/XS/XR, 8/8+, 2018 iPad Pro, Galaxy S9, MacBook, iMac, Windows 10 and more. As we can see from the images, the presentation remote shows off an elegant and stylish appearance design, and the aluminum casing not only provides a durable construction, but also delivers a premium feel, while the slim form factor with rounded sides and rubberized upper part let you comfortably hold it in your hand. The wireless presentation remote uses Bluetooth 3.0 technology to wirelessly connect with your device so that you can easily control your presentation from up to 33 ft. away. Furthermore, its media mode allows you to use it to remotely control your multimedia playback, you can also access media on your smartphone when out of reach or use to control audio on your Bluetooth-enabled monitor. Moreover, its built-in rechargeable battery offers up to 45 hours of usage on a single full charge. 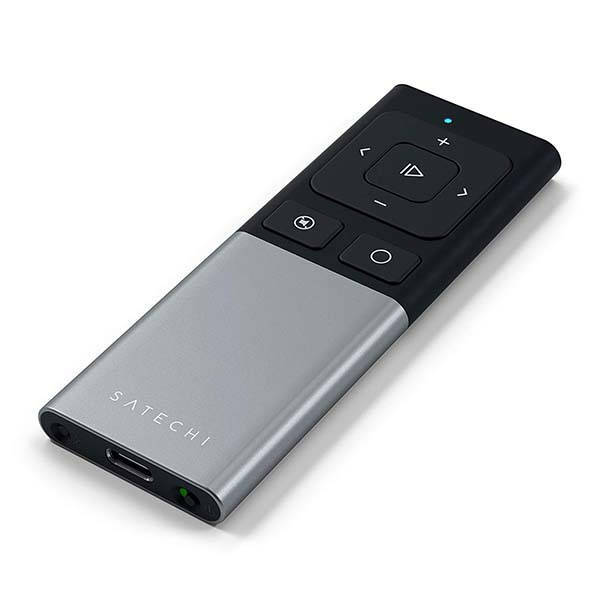 Satechi aluminum wireless presentation remote is priced at $39.99 USD. If you’re interested, jump to the product page fort its more details. The link doesn’t jump to its product page, but Amazon.com page.